The Online Master’s in Entrepreneurship Program provides a rigorous immersion into the nature of entrepreneurship and the entrepreneurial process. Core content is coupled with a strong commitment to experiential learning. The program is a component of the university-wide entrepreneurship emphasis at Oklahoma State University. It is targeted to students with a passion for entrepreneurship in for-profit, non-profit, military and public sector contexts. It consists of 33 credit hours of coursework and practicum hours. Most students will complete the program in two years (i.e., four regular semesters plus one summer). Individual circumstances, however, may vary. Application requirements and details are available at https://business.okstate.edu/watson/mse/applications.html. This is an online master’s program. We seek highly motivated students from diverse backgrounds interested in creating growth-oriented for-profit or non-profit ventures, or interested in designing innovative process improvements or similar changes in existing organizations. Incoming students who have taken equivalent graduate level courses can petition to substitute these for foundation-level or entrepreneurship requirements, but still must complete at least 27 hours within the Program. Enhance students’ self-efficacy regarding acting entrepreneurially in new and established organizations. Develop within students the ability to conceptualize and communicate the complex challenges and analytical skills toward identifying plausible solutions to overcome such challenges. Improve student ability to employ intuitive, imaginative thought to critically evaluate ideas, processes, experiences, and outcomes associated with new venture creation or with innovative process improvements or similar changes in existing organizations. Enhance student competencies in the areas of opportunity recognition, risk management, resource leveraging, innovation and business planning. Develop within students a first-hand appreciation for the nature of the entrepreneurial experience itself. Increase the appreciation among students for the need to engage in entrepreneurial behaviors that reflect high ethical standards, create ventures that contribute to societal well-being, and give back to the communities that make their ventures possible. The Online Master’s in Entrepreneurship is a two year program consisting of 33 credit hours. The credit hours consist of 12 credit hours of business foundation core, 18 credit hours of entrepreneurial core, and 3 hours of practicum credit. Students in the Online Master’s in Entrepreneurship Program will be afforded learning opportunities outside of the classroom. Depending on individual circumstance and geographic location, they will be able to get involved in the Riata Business Plan Competition, the OSU Cowboy Entrepreneurship Bootcamps, the Veterans with Disabilities Entrepreneurship Program (VEP), Women Igniting the Spirit of Entrepreneurship (WISE), the Entrepreneurship Empowerment in South Africa Program, the Riata Entrepreneurial Internship, the Technology Commercialization Project, the OSU Entrepreneurial Mentors Program, and other such initiatives. 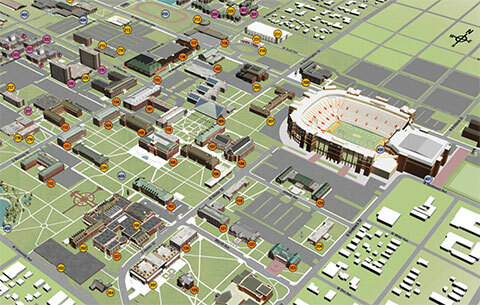 In addition, students will have access to the OSU entrepreneurial network. Tuition information for the Spears School of Business online learning programs can be found here: https://business.okstate.edu/online/about/tuition/. Please note the Military Rate offered is for active-duty personnel only. It does not apply to spouses or dependents, or to retired military. A copy of Active Duty Orders or most recent LES paperwork is required by the Spears School of Business in order to receive the Military Rate.